Getting good sleep can change your life – it did mine. I knew that sleep was important, but for nearly my entire life I didn’t realize just how important it was to sleep well. 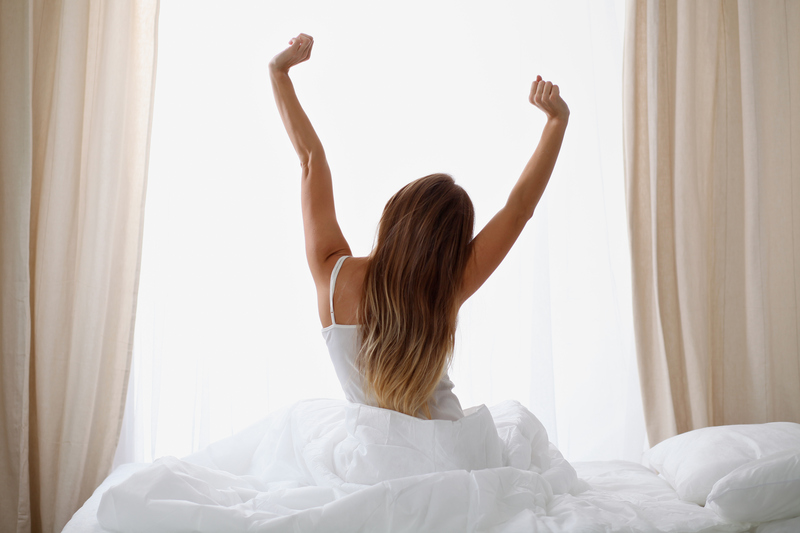 Everyone feels better after a good night’s sleep, but few people realize that crucial processes occur during sleep that help to restore and rejuvenate their brains and bodies and remove toxic metabolites. I didn’t—until recently—and I am a physician. When I went to medical school and residency, I was not taught the importance of sleep. I didn’t understand that sleep was a vital bodily function. Instead, I considered sleep a waste of valuable time and pushed myself to get up earlier, stay up later and do everything possible to see one more surgery, examine one more patient, complete one more bit of paperwork, before finally giving in to a small period of “unproductive” sleep. Once I became a full-fledged attending physician, I worked 24+ hour shifts to try to maximize the time spent out of the hospital. My colleagues and I thought it was worth the trade-off of sacrificing sleep to have more time off with our families. This strategy seemed to work for a while, but then the sleep deprivation caught up with me. I found that I was tired all of the time. I caught colds more easily and seemed to have a slower recovery from illnesses. When I was with my family, I was often not really “there” because I was too tired. Even though I loved my job, I ultimately left clinical medicine, partially to take better care of my health. I learned to put a higher priority on getting enough sleep. This emphasis alone, made me feel better than ever. I became more focused, more “present,” and was sick less often. Besides physicians, other shift workers such as nurses, truck drivers, police officers, and firefighters—to name a few—are at risk for sleep disturbances and associated excessive daytime, or shift-time sleepiness. Those with sleep disturbances are also at an increased risk for additional chronic illnesses like diabetes, depression, hypertension and cardiovascular disease, not to mention on the job accidents or errors. While there will always be the need for shift workers in our 24-hour society, I now realize that people must be made more aware of the importance of prioritizing restful, uninterrupted sleep. 1. If you work shifts or run a business where you have shift workers, schedule shifts to give maximum time off between workdays for adequate recovery time. Consider taking short naps of around fifteen minutes during break times (some of the most famous tech companies actually have sleep pods and rooms for their employees to nap). 2. Avoid caffeine or alcohol close to bedtime. 3. Make sure your bedroom is quiet and dark. 4. Avoid the use of electronic devices in the bedroom. Obstructive sleep apnea is the most common sleep disturbance that robs people of their good night’s sleep. According to a 2016 study commissioned by the American Academy of Sleep Medicine, sleep apnea is present in 23.5 million people in the United States who aren’t even aware of their condition. Once diagnosed, the treatments for sleep apnea are fairly simple, have very few side effects, can make sufferers feel better almost immediately, and are effective treatments for other associated chronic diseases at the same time. Prioritizing our sleep is as important as treating any other chronic disease such as high blood pressure or high cholesterol. Take the first step to improving your life and prioritize your sleep! Co-founder and COO of Resonea, Inc.